One of Ireland’s leading and most recognised personal trainers Karl Henry is launching his latest venture today - an exclusive podcast with Independent.ie. 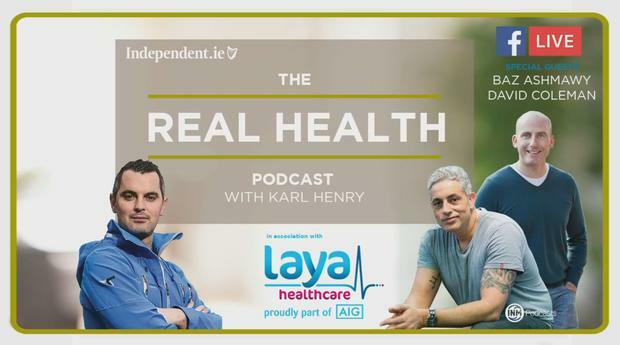 Karl will host 'The Real Health', in association with Laya Healthcare, every Monday on Independent.ie. The fitness and health guru is hosting a Facebook Live event at Easons on O'Connell Street today from 1 - 1.30pm to celebrate the launch. Viewers from all across the country can tune in as Karl is joined by Baz Ashmawy and a host of other guests. Karl is hoping his podcast will aim to motivate, empower, educate and inspire listeners to live a healthier and happier life.